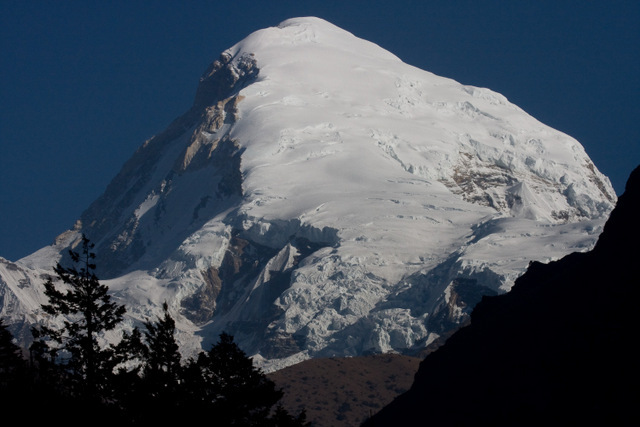 Jumolhari Trek is a classic trek beginning from (Drukgyal Dzong) Paro. 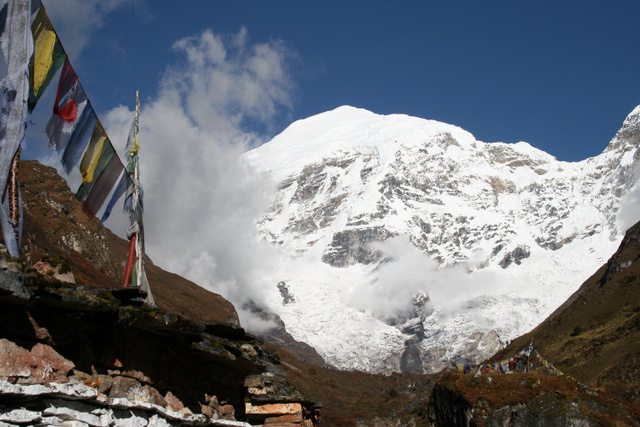 The route passes through two high passes from Jangothang. The view of Jumolhari Mountain (7314 M) from Jangothang is spectacular. Besides, Mt. Jumolhari and its adjoining ranges have impressed visitors to admit as one of the most beautiful peak. 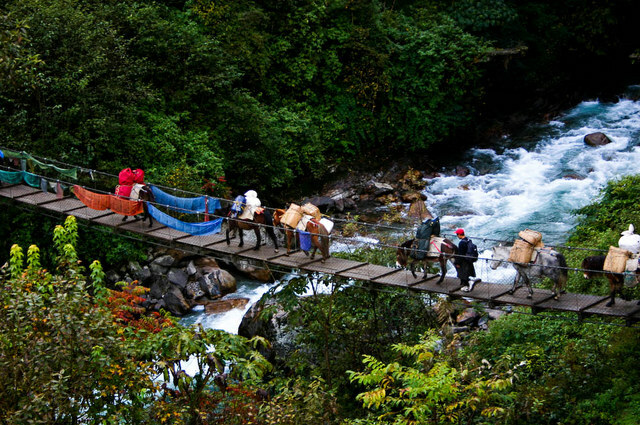 This round Jumolhari trek also offers a taste of great variety of Bhutanese landscape and culture. The Trek is strenuous and is very popular. Early morning flight to Paro, Bhutan (Please check the flight timing). The flight from Delhi/Kathmandu is considered as one of the most scenic flight offering the view of the world’s top ten highest peaks. Upon your arrival in Paro airport our guide will be there to welcome you and transfer to hotel in Paro.Later in the afternoon continue your drive to Paro. Upon arrival in Paro, visit Paro Dzong (Fortress) on foot and continue walking through the oldest wooden bridge still in use. Continue further to stroll around the old Paro town and peep into some local handicrafts stores. Could get some opportunity to see the traditional game, Archery match going on. Evening back to the hotel. Morning drive to the base for the hike (3 hrs uphill) to Tiger’s Nest, the most revered temple in the country that literally hangs on a granite cliff overlooking the Paro valley. Most of the day will go on the hike. On the way back, if you have the energy and time visit the Kichu Lakhang, one of the oldest temples in Bhutan which marks the beginning of Buddhism in the country. Check out from the hotel and drive to Drugyal Dzong which was built in 1654 by the Shabdrung to commemorate one of the many war victories against the Tibetans. 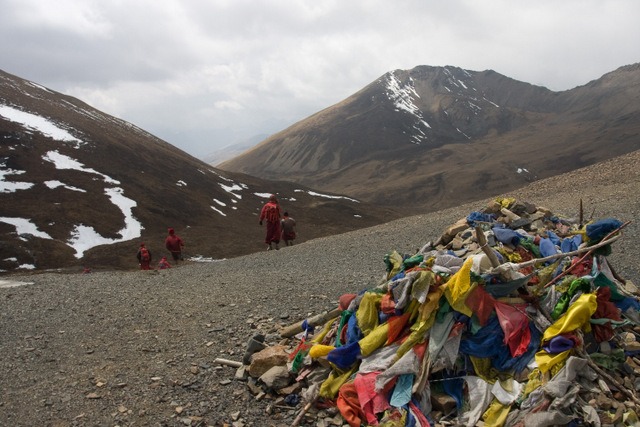 Over the centuries, it guarded the trail from Tibet into the Paro valley. Have a nice view of the Drugyel dzong which remains as a ruins and is now under renovations. The dirt road will follow the Paro Chu upstream through the village of Tshento for about an hour. Just before reaching our camp, we will have to pass through an army check post, where your guide will produce your trekking permit. The campsite is on the opposite side of the river, not far from Gunitsawa. 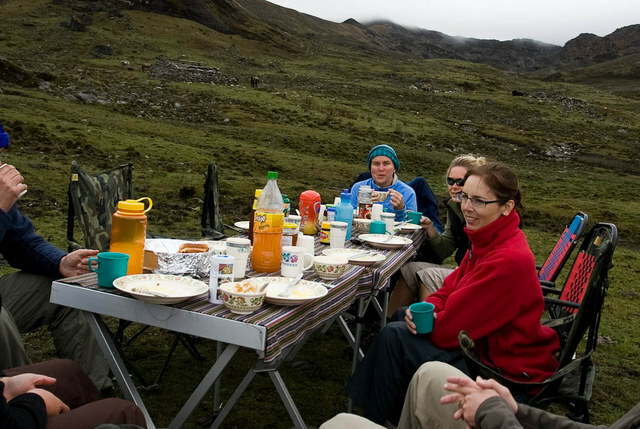 You will meet the trekking team at the campsite. Morning transfer to the airport for your departure flight. Your guide will bid you farewell at the airport.